Is your state pension at risk of being cut? People who continue to work past state pension age, but fail to defer their state pension payments, risk having their state pension taxed. Royal London found that more than half of those who work beyond retirement and take their state pension were earning enough to push them over the tax-free allowance. With an increasing number of people working past the age of retirement, more and more workers could be unknowingly paying unnecessary tax on their pension if they don’t need the income. Here, Which? explains why people’s state pensions are being taxed and how much extra state pension you could earn by deferring your payments. Why are state pension payments being taxed? The state pension is a weekly payment you get from the government once you reach state pension age. In 2017 around 950,000 people were working while also receiving their state pension. Over half of these (520,000) were earning enough money to take them over the annual personal allowance – which is the amount of money you can earn before being charged tax. In the 2019-20 tax year, this is £12,500. As a result of this, their state pension payments were liable for tax. 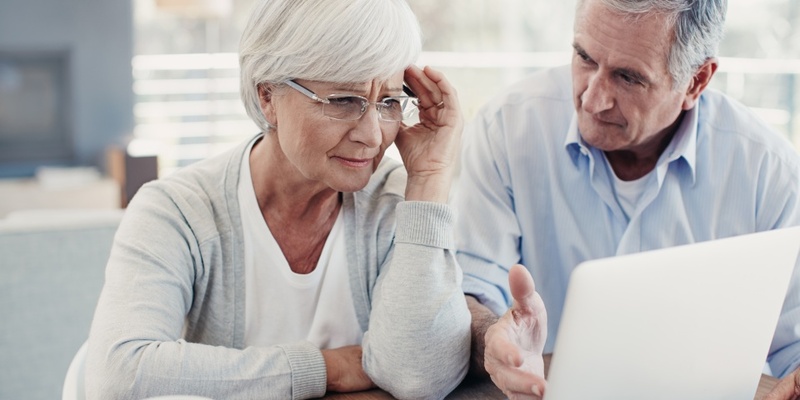 People, who continue to work past state pension age, are having their state pension payments taxed by as much as 40% because they are failing to defer their state pension until they stop working. Although the state pension is paid ‘gross’, which means that no tax is deducted when it’s paid to you – it’s not tax-free. If the income you earn (which can come from different sources, including your salary and the state pension) is greater than your tax-free allowance, you will be liable to pay tax on your state pension. If you have no PAYE income, you’ll have to complete a self-assessment tax return and pay any tax due directly to HMRC. You can get a head start on your 2018-19 tax return with the Which? tax calculator. Find out more: do I pay tax on the state pension? Once you reach state pension age and are eligible to start receiving your state pension, you can choose to delay your payments. Doing so can increase your state pension entitlement by 5.8% each year that you defer it. Royal London estimates that the average woman could be around £4,000 better off over the course of her retirement by deferring for a year until she has stopped work. Men who opt to defer for a year could be around £3,000 better off. If you have retirement income from other places, such as a workplace pension, deferring your state pension might be a good deal and you could almost treat it like a really good savings account. Deferring may also appeal if you’ve retired to a country where your state pension isn’t subject to the UK’s annual increases, such as Australia. Is it too late to defer your state pension? If you’ve already started to draw your state pension it is possible to ‘un-retire’ and stop receiving payments until a later date. All you have to do is contact the Department for Work and Pensions (DWP) and let them know that you want to stop receiving your state pension payments until a later date. Royal London is calling on the government to make people more aware of the option of deferring their state pension, especially those who work past state pension age. Steve Webb, director of policy at Royal London said: ’There has been a huge increase in the number of people working past the age of 65, and this research finds that most of these people are claiming their state pension as soon as it is available. ‘Those who have worked hard to build up a state pension through their working life do not want to see a big chunk of it disappear in unnecessary taxation. The state pension received its annual increase on 6 April 2019. In order to qualify for the state pension, you have to make National Insurance contributions. If you reached state pension age before April 2016, you’ll be entitled to the basic state pension plus any additional state pension you might have built up. If you hit state pension age after April 2016, you’ll receive the new single-tier state pension and will need at least 35 years’ worth of contributions to get the full amount. Both the basic and single-tier state pension are protected by something called the ‘triple-lock’ guarantee. This means that they rise each year by the greater of; the previous September’s CPI inflation, average earnings growth or 2.5%. From April 2019, the state pension will increase by average earnings growth, which came in highest at 2.6%. The additional state pension on the other hand only increases by the rate of CPI inflation, which in last September was 2.4%. Basic state pension: Those receiving the basic state pension will get a weekly boost of £3.25 a week – taking the total state pension from £125.95 to £129.20. For more information, check out our guides on the state pension and how much state pension will I get?